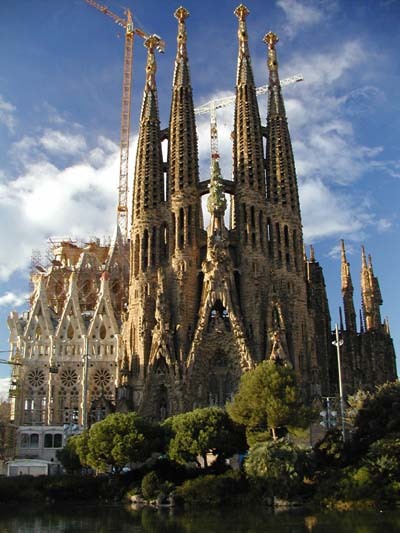 Pope Benedict XVI recently traveled to Spain for the dedication of Barcelona’s Sagrada Familia church, a modern cathedral designed by architect Antoni Gaudí. “A creativity that renews tradition.” That’s actually a beautiful line, a beautiful way of expressing how Catholic Christianity, at its best, is enfleshed in and lived by God’s people at any one point in time. Ours is a living tradition, one that not only is open to renewal, but that actually requires renewal in each and every generation, in each and every age, and in each and every person. Rooted in that which has been received (which is what “tradition” means), but open also to living this out in ways that could not have been or were not envisioned earlier — this is the essence of a living, creative Tradition. If Pope Benedict can see this so clearly in art and architecture as expressions of a renewed tradition, I wonder why the Pope is unable to see how contemporary understandings of human sexuality — understandings drawn from so many spheres of human inquiry — could also be described in this way? Contemporary understandings about sexual orientation, understood as an inherent part of who we are as individuals, leads us not away from the tradition, but deeper into it. It leads us to seeing that within God’s wonderful Creation, the diversity that is within the very DNA of humanity is itself a work of art, a beautiful creation reflected in the great diversities of the human family, including the diversity of sexual orientation. For God’s gay and lesbian children not to live and love as they have been created by God to live and love would be like building a beautiful church like Sagrada Familia, yet never entering it, never celebrating liturgy in it, never using it as it was intended to be used. Churches are not merely works of art to be admired from afar, but are living expressions to house a living people. So too is every human person a living work of art, a living cathedral created by the Divine Architect, carrying within each of us part of the One who not only designed and created us, but who sustains our every breath. May Pope Benedict and other church leaders come to see the beauty within the fullness of their gay and lesbian sisters and brothers no less than in a wonderful building like Sagrada Familia. This entry was posted in Commentaries, Reflections and tagged Antoni Gaudí, architecture, Benedict XVI, Sagrada Familia, Tradition. Bookmark the permalink.